If you know me, you know that I am the absolute worst at cooking meat. It’s for a number of reasons. Raw meat is gross, I don’t want to contract a foodborne illness, I don’t want people I feed to contract a foodborne illness, raw meat is gross, I don’t have enough experience with cooking meat, and raw meat is gross. Since I am sooo into myself, I want to expand on my many talents (honestly, what CAN’T I do?) (I am kidding, you idiots). Today I tried to make steak, possibly the easiest meat to cook. 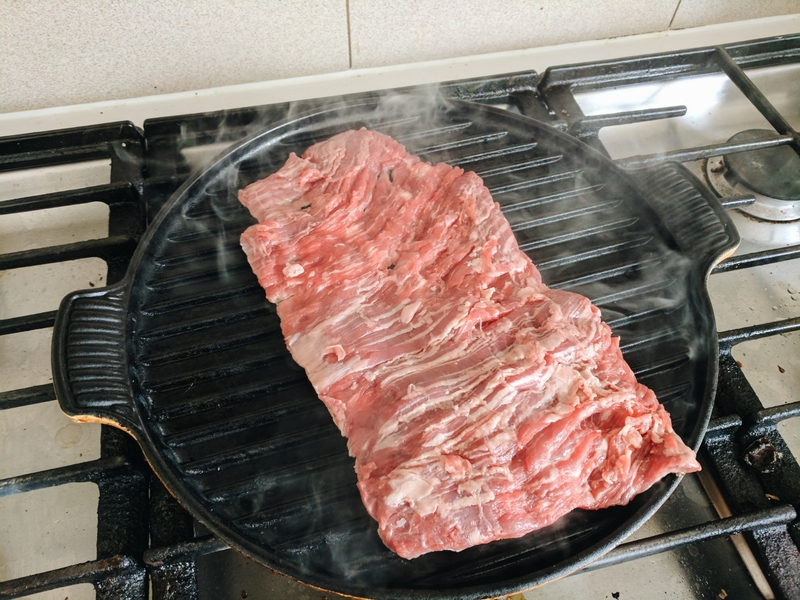 I prepped a pound of skirt steak with salt, pepper, and a small drizzle of oil. Then I let the steak sit at room temp for about 30 minutes. While the processor ran, I drizzled in some white wine vinegar and a hefty stream of olive oil. I also added salt and pepper because duh. 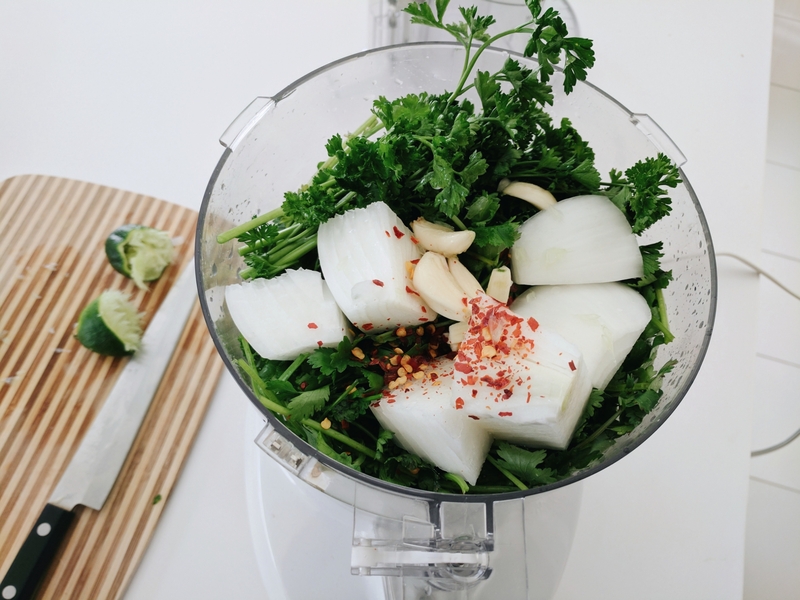 Next, I chopped up the best part: the garnishes. 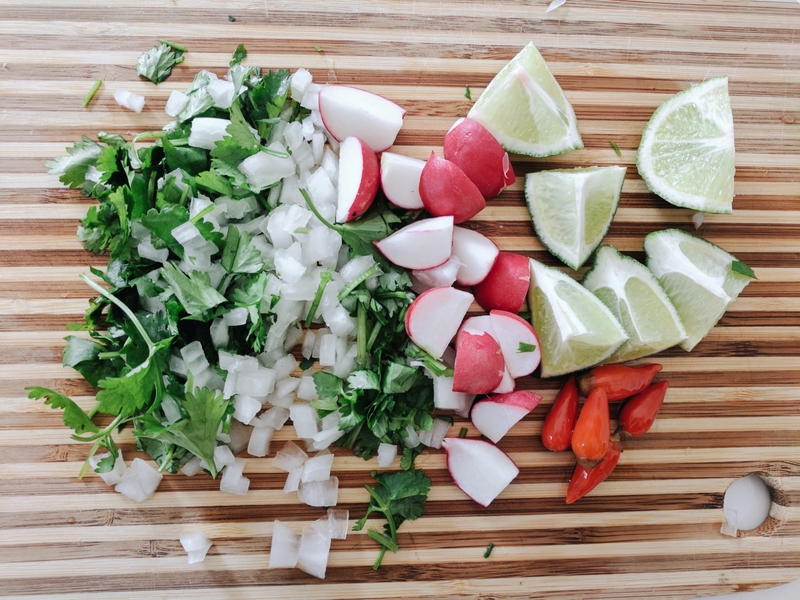 I used white onion, cilantro, radishes, limes, and pickled chilis. These are a few of my favorite foods, minus the chilis. For someone who has acid reflux disease that flares up when triggered by spice, fat, stress, sleeping, and being awake, these BLEEPers are spicy as BLEEP. On a hot grill pan, I cooked the steak for about 5 minutes on each side. A normal person might cook it for less time, but I don’t like my meat to bleed profusely while I’m eating it. After cooking, I set the steak on a cutting board and let it rest for a few minutes. Doing this keeps the steak juicy because it gives the juices a chance to redistribute through the meat before slicing it open. I sliced the steak across the grain, or at least I tried to. 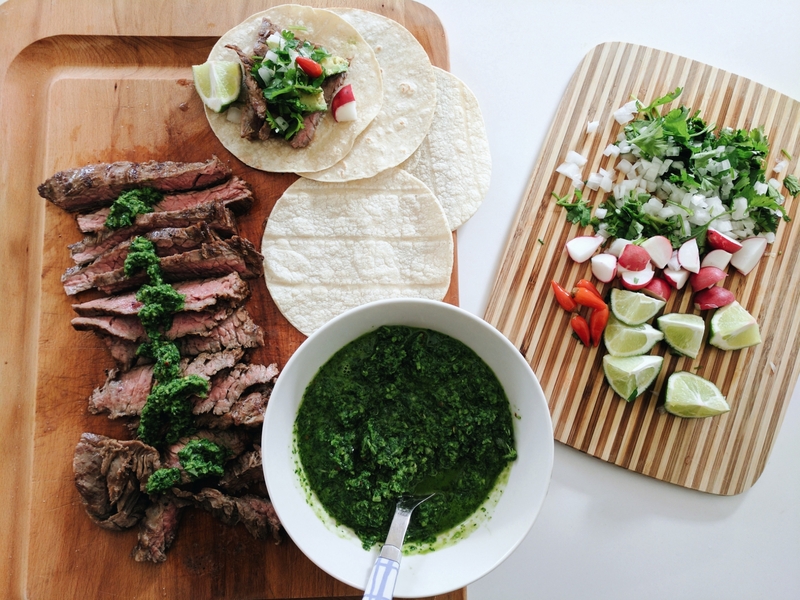 I served the steak and chimichurri on warmed corn tortillas, but I won’t call them tacos. I also topped it off with a scoop of avocado for good measure. Verdict: The steak was too chewy and tasteless, and I still can’t cook meat. 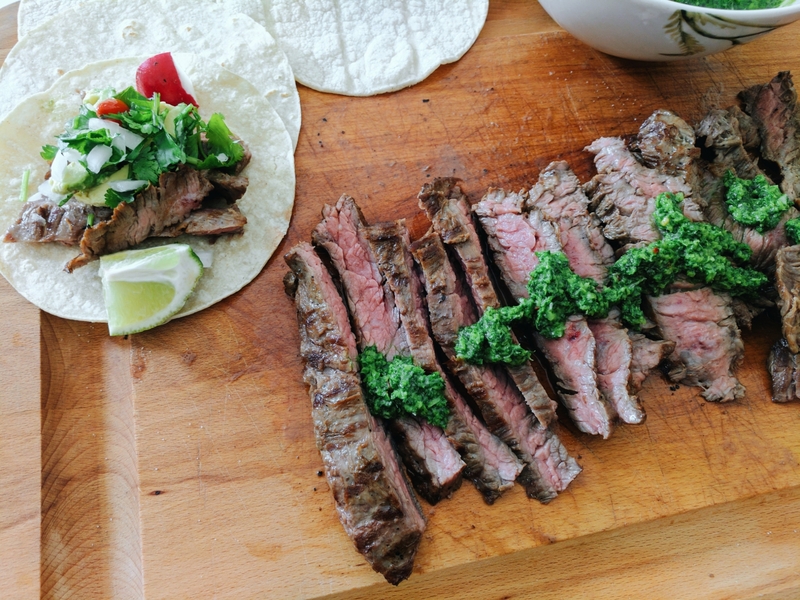 I made it through this entire blog post without a steak pun. A steak pun is a rare medium well done, anyway.